I have said quite a few times that autumn is my favorite season. I love all the dark berry colors, and the classic reds that comes with it. I’m all about comfy sweaters, cups of hot tea, beanies, boots, and the dark lips and nails. I am a huge lippie addict and I am actually a pretty big nail fan too. I almost never leave Ulta without a lippie and/or a new nail polish. I have always loved dark nail and lip colors. Fall is my favorite season for all the nail and makeup trends. 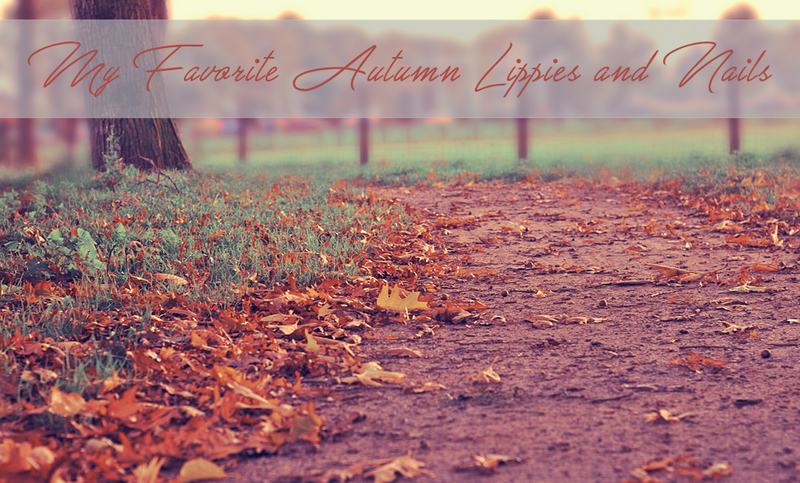 In this post I’m going to be talking about my top 5 fall lippie and nail polish shades. So let’s get started. 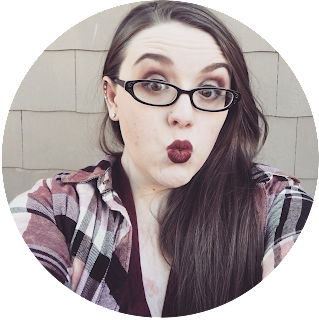 Rimmel Kate Moss is one of my favorite lipsticks! It’s smooth and soft and wears beautifully. 107 is a beautiful berry purplish red. I love it! It was my all time favorite lipstick for a long time. I also really love the shades 111 and 10 for fall! They are both dark classic reds. I love love love this lipstick! It is so smooth and creamy. It is such a beautiful matte! It feels so soft on the lip and wears great! The shade Ruby Woo is a great autumn shade! It is a classic red. It’s amazing! After using this lip cream for awhile I have come to love it. I have found it needs 2 or more coats as it’s patchy and the darker shades are the patchiest. This creamy is soft on the lips and it looks great once you apply a second layer. Copenhagen is a great berry purple. I love it! Transylvania is a great shade too it just needs a few coats. It’s a darker berry shade. 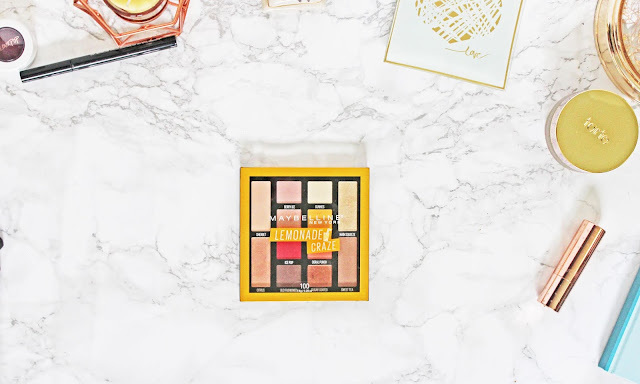 I loved the original formula and this one is the original with a matte finish! I love it! Bad Blood is a dark classic red with berry undertones. I love it! This is the first Bite lipstick I’ve tried and I am in love with it! It’s smooth and creamy! If you blot off the excess product it becomes matte which I love! These are the double end lipsticks and they are great! The shade Holly is a Christmassy red with a pink undertone, Tannin is a classic berry reddish purple, and Scarlet & Mulberry are both dark berries. I love them all! This polish tends to be a hit or miss. It depends on the shade. I’ve found that the light pastels are the best. Some of the bright or dark shades don’t so great but this shade is the best in the line! I love it! When used with the Sally Hansen Double Duty Base & Top Coat it lasted 10 days with no noticeable chips. The color is a great black shade. If you love black polish I recommend this one or the original Hard As Nails formula but it’s hard to find that one’s black shade. I haven’t been able to find it for months. SH Insta-Dri is great! It dries in about 2 minutes and it’s pretty thick and pigmented but I still use 2 coats for a longer wear time. It wears for 6-8 days depending on the shade. The shade Cinna-Snap is a great blood red! I bought it last year for Halloween for a blood splatter and I love it! It’s great for splatter or on its own. This is a great dark gray shade. I really love it! I saw this shade at the store and had to try it for fall. It’s a really deep purple. Honestly it’s black with purple undertones and it’s only purple in some lights. It’s a lot darker than I thought. I still like it thought. I wish it was a little lighter so it was more purple looking but it’s still really pretty. I recently started using Essie polish and I love it! This shade is a beautiful deep red with a purple berry undertone! I love it! I think this shade would look great with a matte top coat too. As you can tell I love berry shades at the moment. I really love them no matter the season but they really take center stage in autumn. Some people like blues in autumn but I'm all about the berry reds and berry purples and warm browns and tans and orangey shades. The colors of the falling leaves and all the berry tones I can get. In the comments below let me know what lippie and/or nail color you are loving at the moment! I love trying new products! Disclaimer: This post is NOT sponsored. Everything in this post was purchased by myself or I received it as a gift. I was not paid to talk about any brands mentioned in this post. Anything mentioned in this post were things I genuinely love and want to share with you all. Cover Photo background from unsplash.com and edited be me.